Lucy's Quilts: Three more finished! Since my last post I have three more quilts finished. 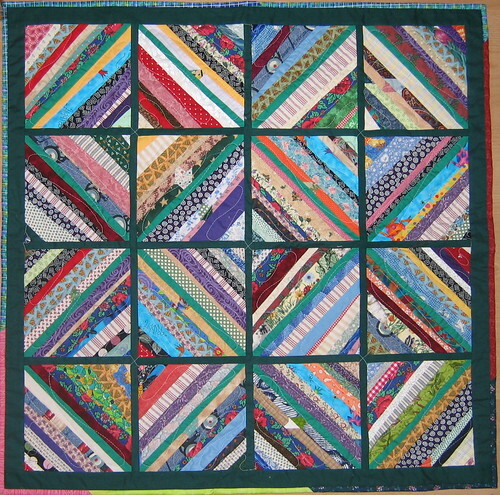 This one is a child's play quilt. Nothing special but will be available for sale at the show. I have had the top done for ages and just never got it quilted. It is about 32" square. 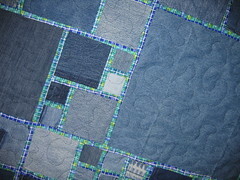 This next one is a denim quilt that has a print for the strips in between the blocks. The back and binding are from the same print as the strips. It is about 52" X 56" and will also be available for sale. 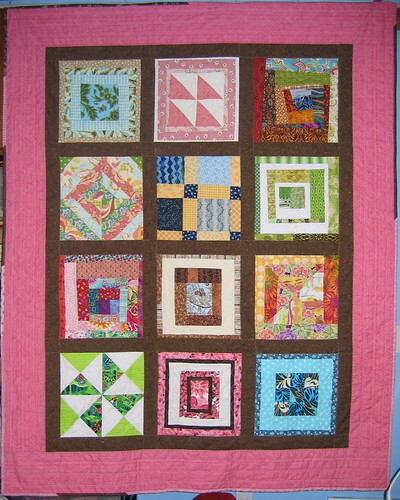 This last one is the Girl Quilt that I put together before we left on our trip. It will be hanging at the show. It is about 53" X 66" and was made from blocks I have received in the Quilt Block Exchange over on flickr.